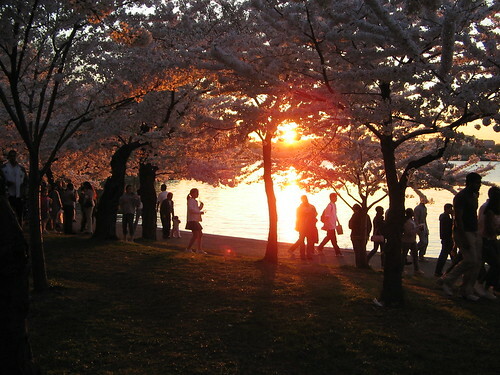 After coming home from Camp Fraser, I decided the day was yet young enough for a quick jaunt over to the Tidal Basin to see the cherry blossoms. What a beautiful spring afternoon! I loved the effect of the setting sun shining in amber through the pink canopy. More photos here. Very nice! I wish I could visit D.C. right now!